I want to address a question I have received from some of you. 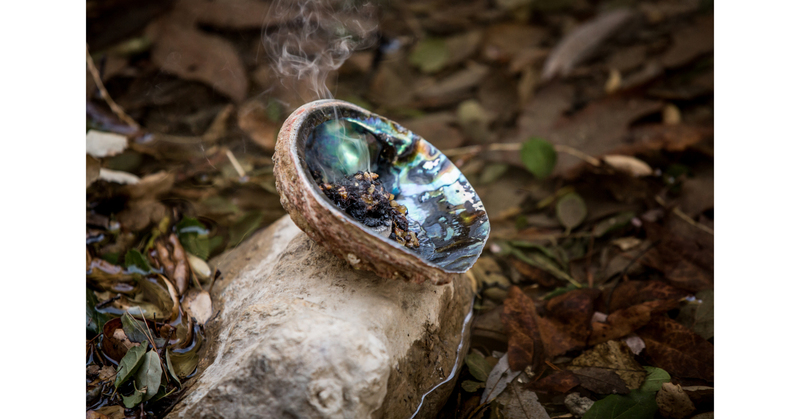 It is a question I too once held and that held me away from embracing shamanic healing— If Spirit guides the healing, then why do we need the form? Well, we may not need it but the client does. The form—the words of a prayer, our hands on their body, or the aroma of incense wafting through their mind—provides a connection and a place for them to put their faith. It grounds the etheric into matter that it may be seen and felt. Of course healing can be delivered energetically without the client even knowing, but it won’t serve them as well. They need to see it to believe it and, even after they do, doubt so easily creeps into the human mind. The physical experience of the healing will follow them home to help sustain the energy through the inevitable ups and downs of their process. For the same reasons, the healer also needs the form especially when the mind’s battle with doubt has not yet triumphed. The form is like a mantra—distracting the voices so that we can find our connection—but there is more to it for the healer. The form of this shamanic lineage has been around for centuries. It holds a life of its own which lends itself to you, the healer, and empowers you. As if the ancestors are praying with you, your words will carry the energy of not one voice but many; your actions will be infused with a deeper medicine— one that knows where to go without you directing it. It is a magic unto itself. Part of its magic is its art. The ancients crafted this lineage through generations of trial and error, finding the most effective ways. To our modern world, they may seem full of superstition or ‘woo-woo’, but they were created with a scientific wisdom and understanding of energy. Each form of this lineage has a very specific purpose and the common denominator is one that we understand very well today: the need to engage the biggest ally and enemy of a healing— the human mind. Once I embraced this lineage, it embraced me and I came to understand its purpose. Only then could I effectively translate it into our modern world.